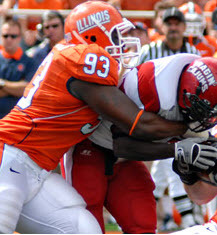 Liuget belongs in the discussion with the other elite defensive tackles in this class. Arguably this year’s most productive DT against the run and also very active rushing the passer. Fires off the ball, maintains sound positioning, has hands that never stop moving, gets off blocks quickly, and closes on ball-carriers and quarterbacks with speed and power. Has the size and strength to move offensive lineman into the backfield. Also comfortable tackling in space and has the awareness to diagnose screens and draws and bat down balls at the line. Liuget has skyrocketed up draft boards this season and should be gone by the mid first. Don Coryell, the innovative coach whose Air Coryell offense produced some of the most dynamic passing attacks in NFL history, has died. He was 85. 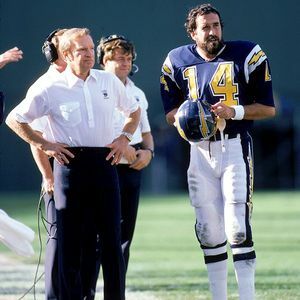 George Rose/Getty ImagesThe innovations of Don Coryell, left, gave birth to Air Coryell, the inspiration for the modern-day offenses that dominate the NFL. Coryell was one of the founding fathers of the modern passing game. He coached at San Diego State from 1961-72 and went 104-19-2. He left the Aztecs for the St. Louis Cardinals in 1973. With Jim Hart at quarterback, the Cardinals won division titles in 1974 and ’75 behind Coryell. “It’s crazy that when you look back at the history of this city, he got hired on the same day as that PSA crash,” said Hank Bauer, who was a running back and special teams star with the Chargers then. “That really was one of the darkest days in this city’s history and it became one of the brightest days in the history of sports. From 1978-86, Air Coryell — led by Fouts — set records and led the NFL in passing almost every season. Coryell guided the Chargers to the AFC championship game after the 1980 and ’81 seasons, but he never reached the Super Bowl. The lack of a Super Bowl on his resume may have hurt Coryell last winter in voting for the Pro Football Hall of Fame. He was a finalist for the first time, but was not selected for induction. Corryel was the first coach to win 100 games at both the pro and NFL level. 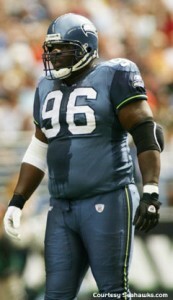 He deserves to be inducted into the NFL Hall of Fame. RIP Coach. The Dolphins traded down 16 selections. I am shaking my head at that decision. As for Matthews, NFL.com writes- Mathews is a good sized running back that runs hard and shows a good burst through the hole. He is a one cut runner that does not waste a lot of time dancing around in the backfield. Once he gets past the first level he could use a bit more elusiveness in space as he has some straight line to him. He tends to run a bit erect but does show upper body strength to stiff arm his way out of a tackle as well as balance on contact to stay on his feet and fight for extra yards. He has struggled to stay healthy as he has missed time in each season at Fresno State. San Diego needed a replacement for LaDainian Tomlinson. Matthews has big shoes to fill. The Seattle Seahawks and San Diego Chargers have completed a trade that sends third-string Chargers quarterback Charlie Whitehurst to Seattle for draft picks, according to sources. 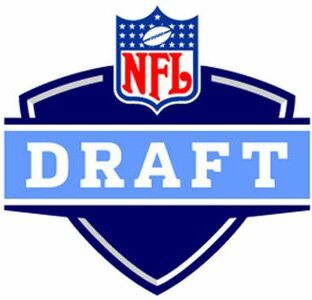 The Seahawks swapped the 40th pick in the second round with San Diego’s 60th pick and also will send the Chargers a third-round pick in the 2011 draft. Seattle, meanwhile, has signed Whitehurst to a two-year, $8 million contract, with $2 million more in incentives. 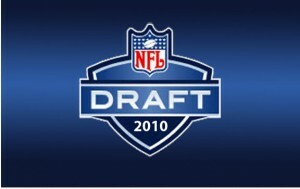 The Chargers now have three third-round picks in 2011. They earlier acquired the New York Jets’ third-round pick next year in exchange for cornerback Antonio Cromartie. Whitehurst, a restricted free agent with third-round compensation, has had only four NFL snaps and has not thrown a pass in a regular-season game. A 3rd rounder for a NFL player who has been around 4 years and not thrown a pass seems a steep price to me. There are plenty of backup quarterbacks, and many of them are that way because when given a chance to start, these players have failed. Now Seattle can be thinking Whitehurst hasn’t had an opportunity to show himself and that’s why they decided to gamble on him rather than a Sage Rosenfels or a Cleo Lemon. If that is so, I can understand the move to a degree but still think a 3rd rounder is a little too much of a gamble.